180 Medical is a national supplier of intermittent catheters, ostomy products, and related medical supplies. We make it a point to hire positive, compassionate, hard-working individuals who want to enjoy going to work, not only for a paycheck but for a rewarding place where we can make a difference. 180 Medical offers a competitive benefits package, extensive training, and many fun extras and perks. We were also named one of the Best Places to Work in Oklahoma for the 7th year in 2016. We’re happy to feature Jacob from our Confirmations Department in this month’s employee spotlight. Jacob, tell us a little bit about yourself. 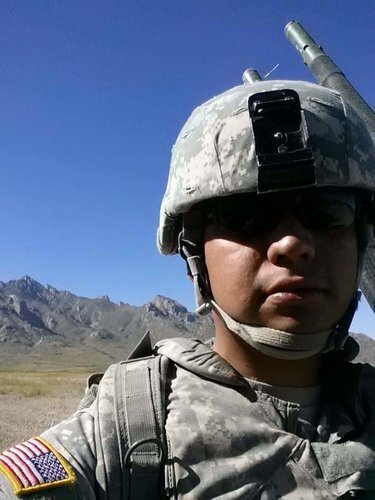 I was in the military as a (68W) combat medic for 4 years, mainly stationed out of Fort Bliss in El Paso, TX. In my spare time, I love to go fishing and camping, and one of my favorite hobbies is to watch and play sports. I was born and raised in Oklahoma, so I have to watch the Oklahoma Sooners play every year. Someday, I’d like to start my own business. What are some of your main duties as a Confirmations Specialist? My day revolves around confirming regular orders for our customers to make sure they receive their much-needed supplies in the amounts and quantities they need. We call about 7 to 10 days before their regularly scheduled order just to make sure they are ready. This is done to make sure we follow and meet insurance requirements, and it also ensures that our customers get the right amount for their needs every time. What’s one of your favorite memories at 180 Medical so far? My favorite memory here was the first time I saw an example of just how much of a positive impact we have the opportunity to make in people’s lives here. Close to the time I started working here, I spoke with a customer who was going through a really difficult time, and together, we looked at a few different options on his account that helped to alleviate some of his burdens. About a month or so later, I heard that he had called back in to let us know how much he appreciated everything that I did for him. That’s when I realized that we really do make a difference every day we come to work, and that’s a priceless feeling. If you knew someone who was considering applying for a job at 180 Medical, what advice would you give them? Do it! You won’t regret it. 180 Medical really is a great place to work. There is so much opportunity for growth and development. It’s very hard to become complacent because you learn something new every day, and everyone around you wants to see you succeed. We are a team, and it takes effort from everyone on our team to complete our mission. Do you have a favorite quote that keeps you inspired? “The true measure of a man is not how he behaves in moments of comfort and convenience, but how he stands at times of controversy and challenges.” – Martin Luther King, Jr. Thank you, Jacob, and all of our awesome employees in the Confirmations Department. We appreciate the effort and compassion that you display every day in your work and handling our customers like our own family members. You truly do make a difference! Meet one of 180 Medical’s employees this month as we celebrate her eighth anniversary with the company and get to know more about some of the job opportunities in the Billing Department. We’re hiring! Come check out our latest blog to find out what makes working at 180 Medical so special. Meet one of 180 Medical’s employees and find out more about what makes working as a customer specialist at 180 Medical so fun and fulfilling! Are you seeking a job? We’re hiring! Find out more about one of our Documentation Specialists at 180 Medical, along with all the many perks that make working for 180 Medical so rewarding.